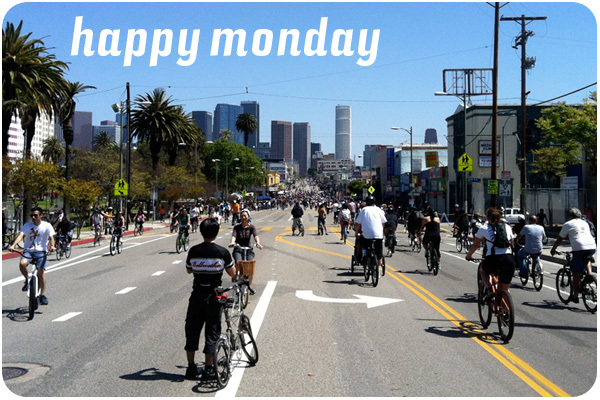 what a lovely post-rain weekend for cicLAvia! i squeaked under the door last week, finishing off my taxes so i could enjoy the day, which was my favorite so far. other than mailing them off tomorrow, my only event for this week is to take the train down to oceanside to see my sister in the oceanside jazz festival this friday.